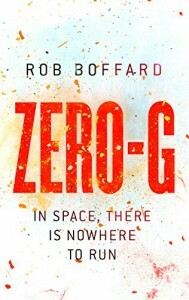 Zero-G - Rob Boffard - So many books, such little time. 'Eight inches to go. Seven. I try to not think of what we were taught about the physics of space. And what happens to the human body in a vacuum. "My tongue. I can feel it on my tongue." Five inches. "Carver, we're nearly there." Four.